This story starts way back before labour had even begun. In fact, labour feels like the short sharp full stop at the end of an epic novel without the epic part – just a lot of longwinded waiting around. If I were equating this to a movie, I’d say it was mainly dull and boring until the last five minutes. But hey, SPOILERS. In the second trimester, I was itchy. Mainly on my arms and legs. It would come and go, so one week it would be bad, the next it would be non-existent. 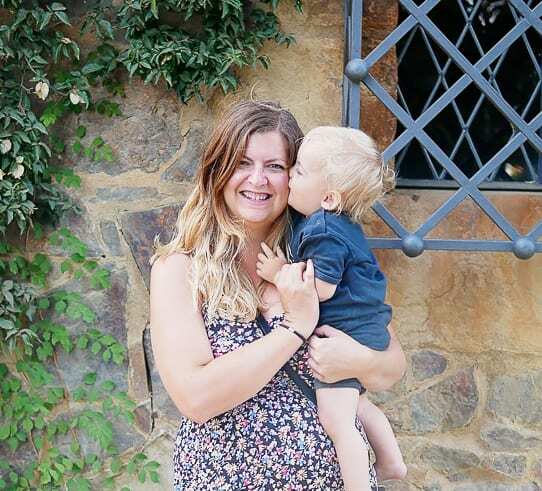 Having been an avid parenting blog reader for some years, I had heard of Obstetric Cholestasis, the ‘itchy’ condition in pregnancy that can present risks to the baby. I knew my itching was something to mention to my midwife. But during this time, we were staying away from home due to our building work. We were staying with cats and dogs (both of which can make me itchy, cats mostly), and I had an eczema flare up on my hand, both of which could potentially have been the culprits for my itching. My midwife said Obstetric Cholestasis is usually on the palms and soles of the feet. Mine wasn’t. The itching continued on and off, it wasn’t severe, and there would be days where I had no itching at all. But then, at 36 weeks, the itching stepped up a notch. I knew I could no longer call this ‘normal’ pregnancy itching. It was keeping me awake at night, I was scratching my skin raw, and it was on my palms and the soles of my feet. My case-loading midwife was coming to see me that week for our routine 36 week appointment, so she said she would take my blood at home to see if there was anything going on. 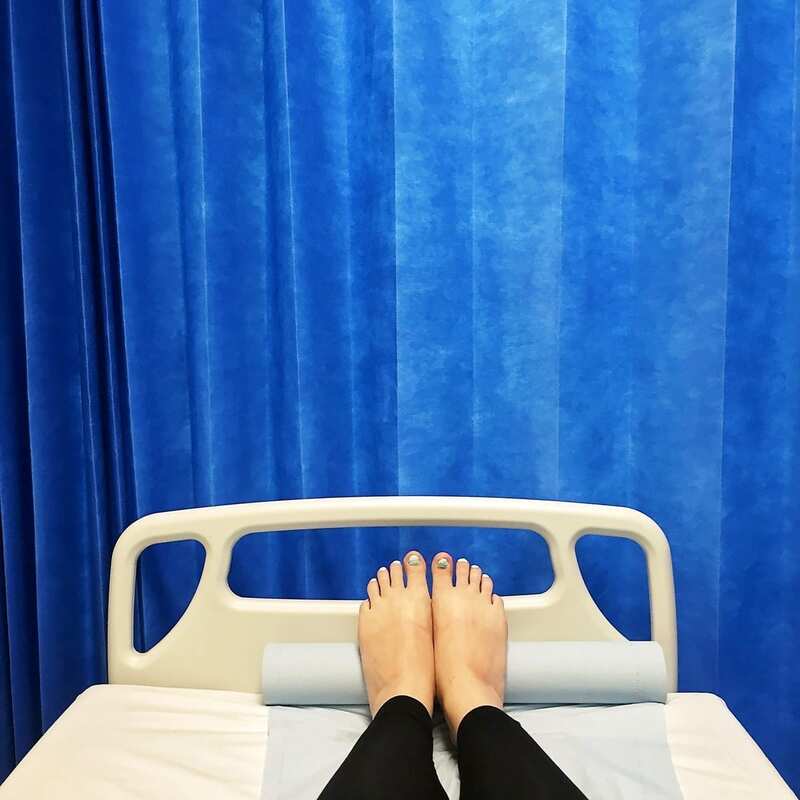 It was fairly obvious to me at this point that it MUST be Obstetric Cholestasis, so I was not at all surprised to see my midwife’s number flash up on my phone the next day. I’d had some abnormal results and could I come into the maternity triage at some point today for another blood test. Call me naive, but I had assumed I would just be popping in for a second blood test and be out again within the hour. I debated waiting until after school pick up and going to hospital with both children, as Sam was going out in the evening and I didn’t think there was any reason to disturb his plans. Sam wanted me to go in straight away, so he came home from work to watch Rory and do the school run. So off I trotted, saying “At least this way, I’ll be back well before you need to go out again”. Oh so naive. I was shown to a bed in triage straight away. They must not be busy. They hooked me up for 30 minutes of monitoring. They do this to everyone that comes in. Then, after the midwife had been able to confer with the consultant, she dropped the news: “Your bloods are abnormally high. You have Obstetric Cholestasis. We are admitting you to hospital tonight and you will be induced tomorrow”. I knew that induction was a big possibility for Obstetric Cholestasis. I knew that they were probably going to tell me I had Obstetric Cholestasis. Yet this was all happening incredibly fast. My bile acid was at the high end of normal, but my ALT levels were extremely elevated – you can see above that the normal range is 0-40, my ALT was 271. If I’d taken a guess at the plan from here on in, I thought I’d be sent home, perhaps told to come in for monitoring over the next week or so, given some medication and an action plan for induction at 38 weeks maybe. (There was a week’s difference between my highly accurate ovulation-tracked conception dates, and the sonographer’s estimation of my due date, so whereas I KNEW I was 37 weeks to the day, all healthcare professionals were treating me as 37 plus 6). In one fell swoop, I was waving goodbye to my home birth plans, and preparing to have a baby the next day. THE NEXT DAY. It was a lot to take in, and I remember sitting on this bed in triage for a good while before my brain kicked into action and I started compiling the mother of all lists to send to Sam, who now needed to pack my hospital bag, a bag for the baby, plus one for the boys and make arrangements for someone to come and look after them that night, take Arlo to school tomorrow, and have them until the baby arrived. I had bits for my labour and baby bits all over the house in various boxes, but I hadn’t packed one bag yet. And now I was kicking myself. My home birth midwife had been on the ward when all this happened, so she popped in to see me in triage. A little debrief with the person who understood my original birthing plans provided a closure that I needed – no, a home birth was most certainly off the cards now. No, I would have to stay in hospital from now until the baby is here. And no, it probably wouldn’t be wise to ignore all the advice and wait until I go into labour naturally. Just like that, all my choices were gone. Moreover, I was suddenly dealing with terrible concern for my baby. As one of the risks with Obstetric Cholestasis, and the reason they suggest inducing early, is the risk of stillbirth, which is a particular concern from 38 weeks onward. Earlier that same morning, at 37 weeks exactly, I had been traipsing round Richmond Park with my hair curled and in a nice dress, celebrating my pregnancy with a maternity photoshoot. It was a lovely few hours where all there was to do was to concentrate on the little life inside of me, and feel the first flutters of that ‘any day now’ anticipation. That morning feels particularly fateful now, looking back. It was my very last chance to remember my pregnancy, as I wouldn’t be pregnant for much longer. After a pregnancy of upheaval, building work, and not really having a chance to take many pregnancy portraits, I am so glad I got the opportunity to document my pregnancy on what turned out to be the very last day I could have done so. Four hours later I was being told that the next time I would leave hospital would be when my baby was here. Next up: Part 2 of my birth story – Being induced and feeling low. Maternity photos by Little Kin Photography. Wow, what a story, thanks for sharing!! You’d think that after having 2 bubs already that you couldn’t be surprised by 3rd bub’s arrival…but finding you had the condition and being induced was something entirely different I bet!! What a relief (understatement) that bub was ok.
Love the detailed lists you sent Sam. My first bub was induced at 37 weeks because my waters broke but I didn’t go into natural labour within 24 hours. It was a big part of my experience ‘going early’ and took me a while to process. I’d only been on mat leave for 1 week and like you, hadn’t packed my bag.